Lid it! a group exhibition of artworks created on recycled lids paying homage to the past while exploring the future. Lid it! reflects Melbourne’s famous ‘9” by 5” Exhibition of Impression’ that was held at Tom Roberts’s Studio in Melbourne, August 1889; many of the works were painted on recycled cigar lids. 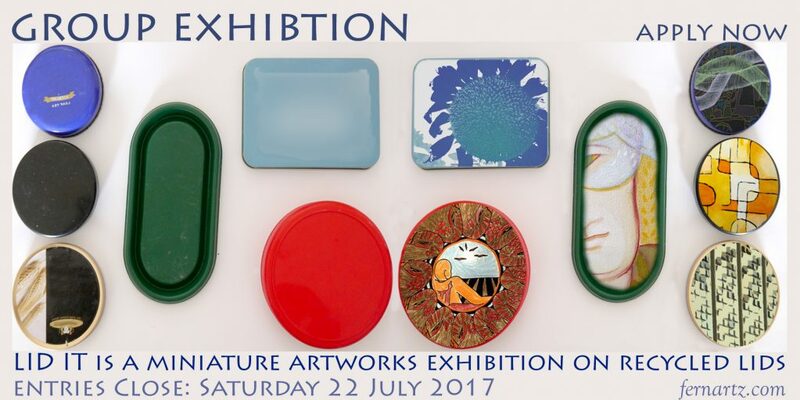 This is an artist run initiative by Fern Smith held at her art studio between 19th August – 27st August 2017.